Late payment is such a big issue in our industry, and one I feel is never ending. Finance is a huge problem for our industry and a one I don’t think we’ve taken seriously enough in the past. But, the government are at it again with new plans to tackle the ever growing problem. Their new plans are said to include a future consultation on allowing bodies such as the Federation of Master Builders (FMB) to act on behalf of their members to challenge unfair payment terms. Also mentioned is the creation of the new Small Business Conciliation Service (SBCS) which will be put in place to help resolve disputes between small businesses and their clients. The SBCS is based on an Australian system which, as far as I can tell, has been a success in getting small businesses the money they are owed. The measure will form a part of a new Enterprise Bill, which was included in the Queen’s Speech earlier this week. I still can’t believe the government has to go to such an extent to put several plans in place to ensure that people are given the money they are rightly owed, but this finally sounds like something that could actually work. However, the success of the SBCS is likely to be dependent on SMEs referring late payment issues and disputes in the first place. This has been the case for the current plans put in place; SMEs are unwilling to refer their issues and disputes in fear of jeopardising their business relationships. From April 2016, large businesses are going to be required to publish information about their payment practices twice a year before they can join or remain on supplier lists. It is expected that they will have to report on their standard payment terms, average time taken to pay, the proportion of invoices paid in 30 days or less, 60 days or less and beyond 60 days. Along with these new plans, there will also be measures put in place to reinforce the plans already in place. As of 2018, through a deal struck with the Construction Leadership Council, a voluntary charter has been created which will encourage clients and contractors alike to sign up to follow 11 fair payment commitments, including standard 30-day payment terms. When the charter was announced people questioned its impact due to the low number of signatories at first launch, with many commenting that without further supportive legislation there wouldn’t be a significant change. Well, now the much needed supportive legislation is finally here, with plenty of plans in place to reinforce the need of paying on time, so we should finally see that change we so desperately need. There should never be a choice for fair payment to be an optional agreement, people deserve to be paid, and on time! According to latest research from the National Specialist Contractors Council, the number of specialist contractors struggling to recruit skilled labour is at its highest level in 14 years. And, as a result of this yawned skilled gap, around a quarter of firms say they have had to turn down work- a figure higher now than at any time during the recession. But it seems that whilst a skills gap isn’t great for our industry as a whole, it does offer some individuals a golden ticket. We all know that our industry is hiring because work levels are on the up, which means that for those already working in construction, an array of opportunities are on offer. People who would have normally been looking to move up the career ladder when the recession hit are realising that, after a long time, the wind is now in their favour and it’s time to make a move. And the current state of play in the construction jobs market means that individuals can reposition themselves to build a career in any company they want (to a certain degree). A survey by The Institute of Leadership and Management reports that 37% of workers plan to leave their job during 2015, a sign of the times and a significant increase from the 19% who planned to move in 2014, and the 13% in 2013. It’s safe to say that construction is now a job-seekers playground with simple supply and demand pushing up salaries and the type of offers being thrown about. But despite the high level of ambition being seen across our industry at the minute, it’s vital that individuals remember that despite needing staff, employers won’t be looking to take on somebody who isn’t right, just to fill a gap. At an event I attended last week, I spoke to somebody who had interviewed three people for a site manager role a few weeks prior but didn’t employ anyone because they just weren’t the right fit. This is where the dark art of poaching begins to creep in. Winners of the 2015 CENE Awards announced! 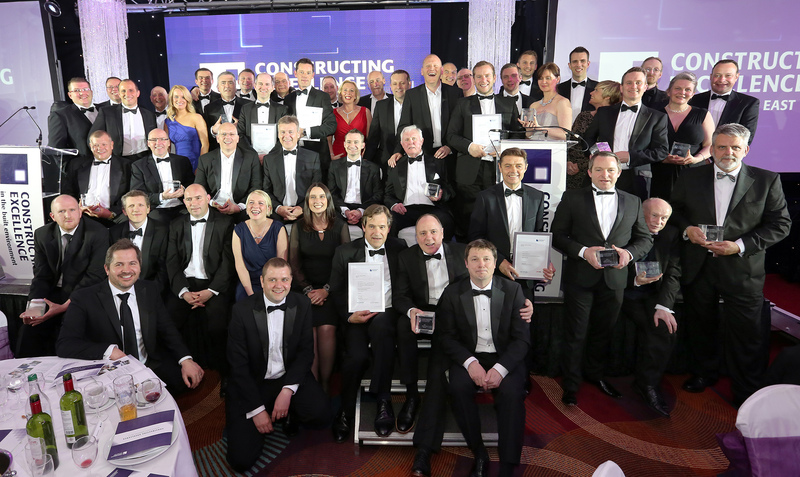 The best of the North East construction industry was recognised at the 2015 Constructing Excellence in the North East (CENE) Awards last week. The awards celebrated all that is exceptional in the region’s construction industry and recognise those high-flying individuals and organisations leading the way in North East construction. Attended by almost 600 construction professionals, the awards recognised individuals and organisations across 13 awards categories this year. Catriona Lingwood, chief executive of CENE, said: “Every year I am impressed with the quality of work individuals and organisations produce in our region. This year was no exception, if anything, the general standard was even higher. Each category winner will join the other regional winners at the national final in London in October, giving them an opportunity to receive further recognition on a truly national level. If you would like to view any of the images from the evening, please search ‘Constructing Excellence in the North East’ facebook page. http://cene.org.uk/wp-content/uploads/2014/10/Web-Logo-300x137.png 0 0 Leanne Conaway http://cene.org.uk/wp-content/uploads/2014/10/Web-Logo-300x137.png Leanne Conaway2015-05-15 08:00:522015-05-15 08:04:12Winners of the 2015 CENE Awards announced! As I write this, the UK election campaigns are drawing to a close. Following weeks of campaigning all around the country, tomorrow we will find out whether the coalition are here to stay or if a new Government is about to disturb the number 10 party. It’s a nervous time for all those involved, particularly for individuals like current Construction Minister Nick Boles who, having only been in his role less than a year, is unlikely to stay around much longer, whatever the outcome of the election may be. The Construction Minister role has never been a popular job, and this time around, it’s likely to only be critiqued even more as the focus on our industry being the catalyst for further economic growth increases. Take the BIM Task Group for instance. The group was put together following the release of the Government Construction Strategy document back in 2011 that stated all Government construction projects needed to be using collaborative 3D BIM by 2016, with all other projects, hopefully, quickly following suit. Yet, four years in and despite receiving funding for Level 2 and a budget to kick off Level 3, the group is effectively in limbo. The next Minister, in my opinion, will need to focus on bringing this organisation to the forefront of the work we’re doing as an industry, giving it a clear plan of where it needs to go so that it can, in turn, encourage and facilitate change in our industry. I also think it’s about time that BIM started to grow up; it’s been around in our industry at a low level for a few years now and has been focused predominately on savings but we now need someone who will help us take it to the next level where it is all about efficiencies and collaboration. It’s a big ask, I know, and isn’t something that will change overnight, it will be a long process to stop people from being cagey about information and wary of breaking boundaries and collaborating outside of their organisation, but it’s something we must work towards if we want BIM to be universal practice. Ultimately, we need somebody to take on the role that understands our industry and the impact technology, BIM in particular, will have on the future of our construction. Basically, somebody who walks the walk, rather than just talks the talk.